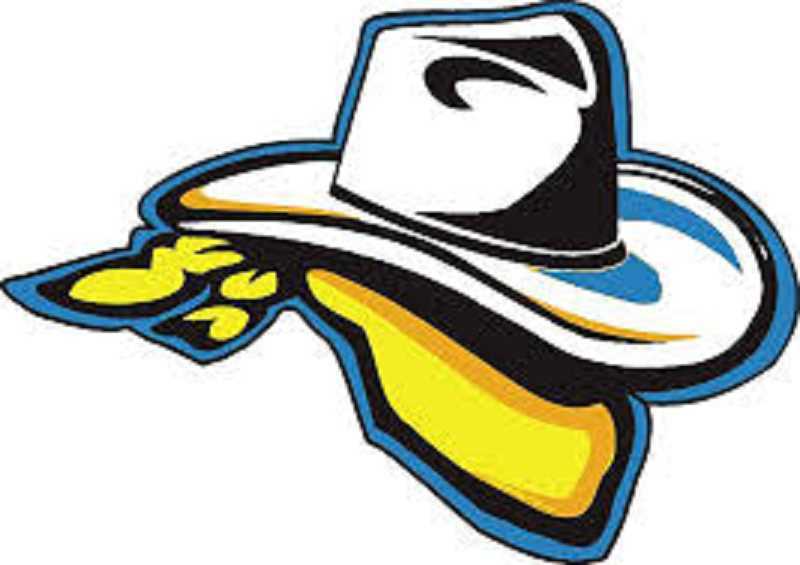 The Crook County Cowboys dominated both days of the Intermountain Conference Wrestling Championships, finishing the six-team tournament more than 100 points ahead of second-place Pendleton. "Overall, it was a great tournament," said Crook County head coach Jake Gonzalez. "The guys really competed well. They are still getting better, and we have a couple more weeks here, so yeah, it was a great tournament." The Cowboys crowned eight individual champions and qualified 17 individuals for the state tournament at the event, which was held in Pendleton. Crook County finished with 408 points at the meet. They were followed by Pendleton, 306, Redmond, 257, Ridgeview, 124.5, Hood River Valley, 116, and The Dalles/Dufur, 89. Crook County qualified 11 wrestlers for the district finals, starting with Tannon Joyner and Tucker Bonner, who competed against each other in the 106-pound weight class with Joyner coming out on top with a major decision. Other Crook County individual champions include Trentyn Maryanski, 120; Hunter Mode, 126; Zach Mauras, 132; Brayden Duke, 145; Ben Sather, 152; Kyle Knudtson, 182; and Caleb Parrott, 285. In addition to Bonner, Steven Ware, 113, and Garrett Bond, 170, also reached their weight class finals, but both wrestlers came up short, finishing second. Jace England, 120, and Gavin McLean, 160, both finished third in the competition, while Victor Rodriguez, 145; Colton Schlater, 195; Hayden Hilderbrand, 220; and Tanklin Thomasson, 285, also qualified for the state championships with fourth-place finishes. Five other Crook County wrestlers finished sixth in the competition. They were Mitch Warren, 113; Conner Rash, 126; Mason Clark, 132; Alex Vail, 138; and Gabe Saenz, 170. The state tournament is scheduled for Friday and Saturday, Feb. 22-23 at Veteran's Memorial Stadium in Portland. "When you get 17 guys to the state tournament, you are going to score a lot of points," Gonzalez said. "These guys battled. The young guys are coming along, and that's what we need, so it's good to see that." Complete coverage of the district championships will be in the Tuesday edition of the Central Oregonian.